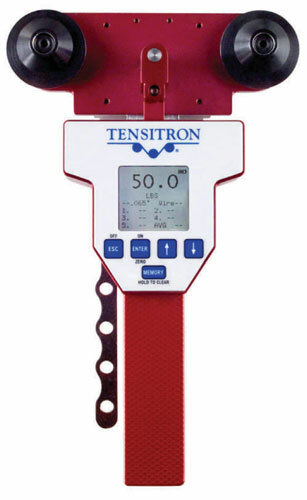 Small, compact and low cost, the B500 / TD-J1000 tension measurement indicators can be mounted on a winding machine independently of the tension unit for real-time measurements, easy installation features, access to DC24V power required. 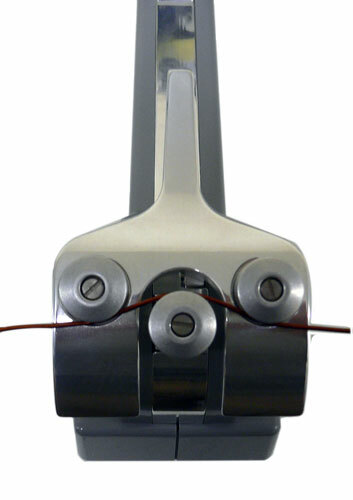 Independent operation ; for single or multi-spindle applications. Indicates real-time speed in FPM, or MPM. 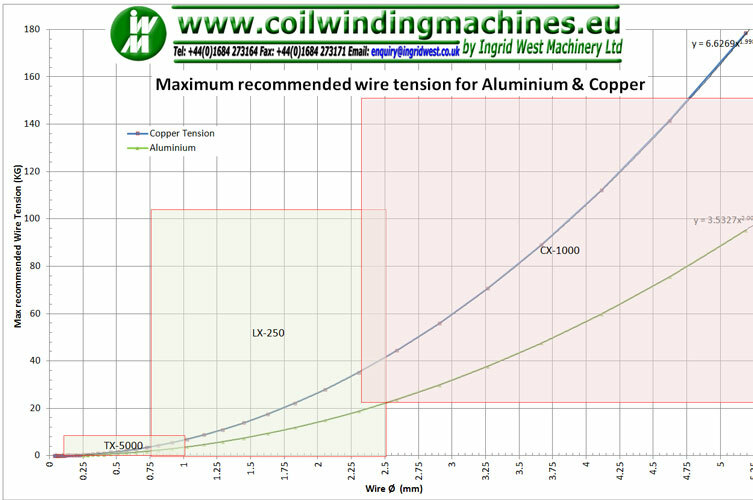 Maximum measurable speed is 9,999 FPM or 9,999 meters per minute, however wire speeds in excess of 2,000 FPM are generally unsafe for hand-held applications. Read length of part run in feet or meters. Maximum length measuring up to 9,999 meters or feet. Analogue Output Option for both speed and tension values. 0-5 VDC or 4 -20 mA with software-definable ending sequences. Provided with 10&apos; cable. 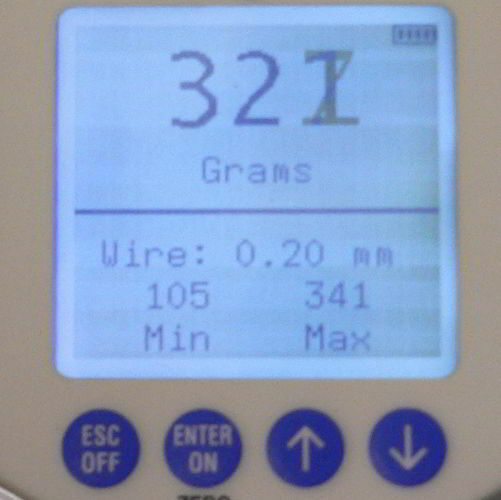 Data outputted at 40Hz. 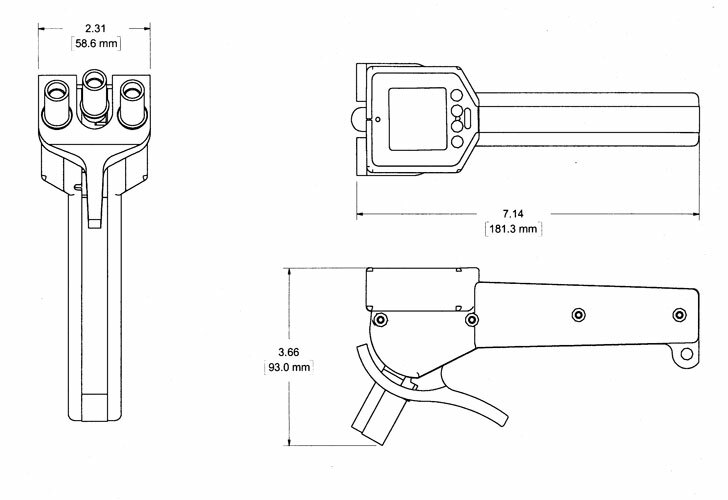 Provided with 10&apos; cable to interface with your receiving device. 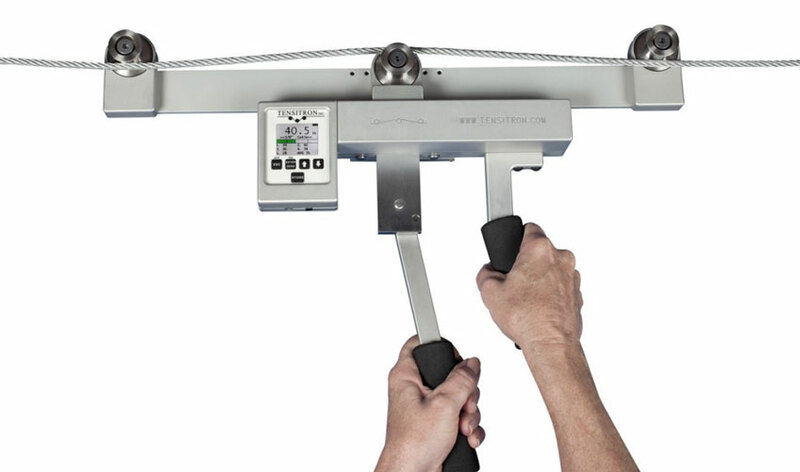 Select data sampling rate from 1, 2 or 5 Hz. Capture and view data within a user-defined time window. Select the time window; then select the sampling rate (from 1-100 Hz). After capturing the data, review the data on the instrument&apos;s display or upload it using the 10&apos; serial interface cable. 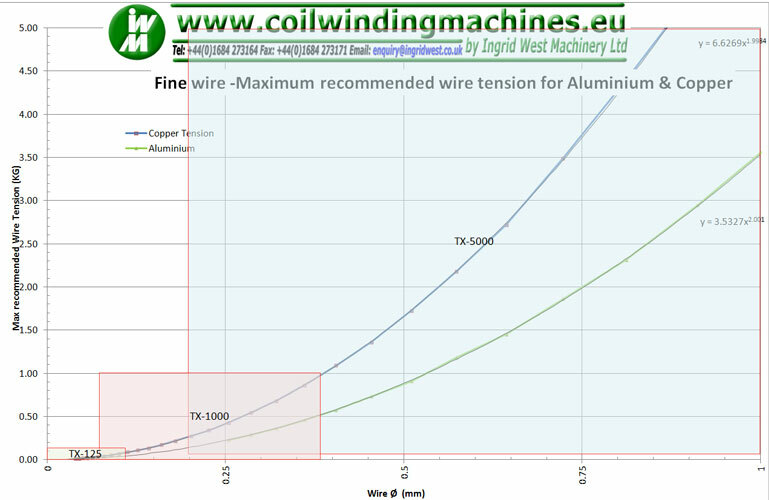 When trying to measure wire tension for thicker wires, the process becomes more difficult as the softness of the copper will greatly effect the tension measurement and re-calibration would be required for each filament. However the range of larger meters shown below can be very useful as a guide and aid in repeatable setting.